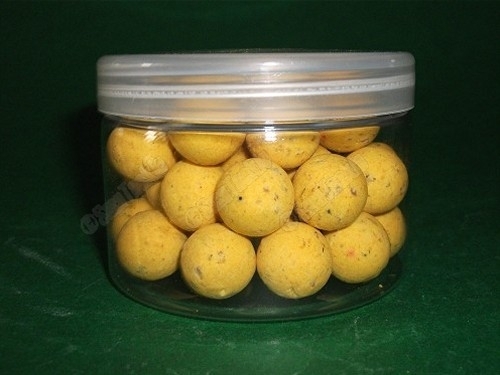 5kg Air Dry Boilie Bag - including UK shipping. I have been using this pump after I bought 1 a couple of months ago now to replace my old worn out pump and thought it about time to review it. When the pump arrived the first thing I was impressed with was how well it had been packaged and the fact it came 98% assembled. After taking it out off the package I noticed how well it had been constructed, using quality components, and how good the washer set was. The first time I used it, it performed excellently with only a slight adjustment of the plunging washer required. I have used the pump at least twice a week on all different types of sand and mud, and it hasn't let me down yet, with only minimal cleaning required. the washer set is still looking like new. So if you are looking for a pump. I highly recommend you buy this pump as you can trust it won't let you down and you won't be disappointed. Hiya mate, Nick has prob already told you mate but, I gotta say the BNC was totally the bait for me last week , I had 8 fish on it up to a 53 lbs , the other bait they had was an out n out bream bait lol ! Recently bought this pump after searching the internet for a decent quality bait pump. Having previously owned a alvey and a micks tackle (matchman) 22mm bait pump in the past and not being overly impressed with the quality I thought I'd give the sma pump ago. First impressions when it arrived was very good, excellent quality and built to last. The washer is the best I've seen on a pump which very rarely needs adjusting and I like the fact you can have the tensioning nut sat slightly proud of the pump for easy adjustment. I've now been out with it 4 times going flat out for a good couple of hours a time and suffer no fatigue at all, its almost effortless unlike previous pumps I've used....it paid for itself on the first outing!! Buy with confidence you won't be disappointed. Re: Nick Howards 44lb 11oz mirror: Well done fella. Sma Tackle baits are the nuts. Wish I was there. Good luck keep going. Come on Sma Tackle smashing it up. Confirm that lug pump washers received today 6th July at 11am; one is now in the pump. Many thanks for the excellent service. My new lug pump arrived today. Wish I had come to you before getting an Alvey pump. The pump you sold me is the best pump I have ever had; its the dog dangglys. Thank you very much; superfast delivery; well done; could'nt get better! Hi there just a quick word to say thanks for the quick supply of my Magicshine MJ-808. I had it in two days, which was great and very much appreciated. The light is super and quiet a lot of my fishing buddies have been asking where or what it is; so hopefully you might get a few more orders to Ireland. First time using the Revolution Enzyme. Got to say lads; bait is bang on. 5 fish in 36 hours. The wafters absolutely nail em. Get on it lads! New flavour - BNC (BUTTERNUT CREAM) - unique and only obtainable from SMA TACKLE. These Pop ups exactly match your bottom baits. Made with cork dust. Size varies between 14mm and 16mm depending on stock.